Monocots are one of two major groups of flowering plants (angiosperms) that are typically recognized. The other being dicots. Monocot seedlings typically have one seed-leaf, in contrast to the two seed-leaves in dicots. 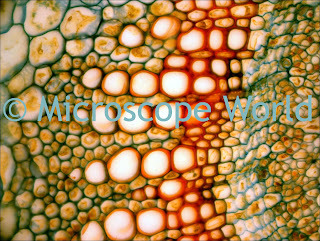 This monocot was viewed under a biological microscope and captured with the MW5CCD microscope camera. 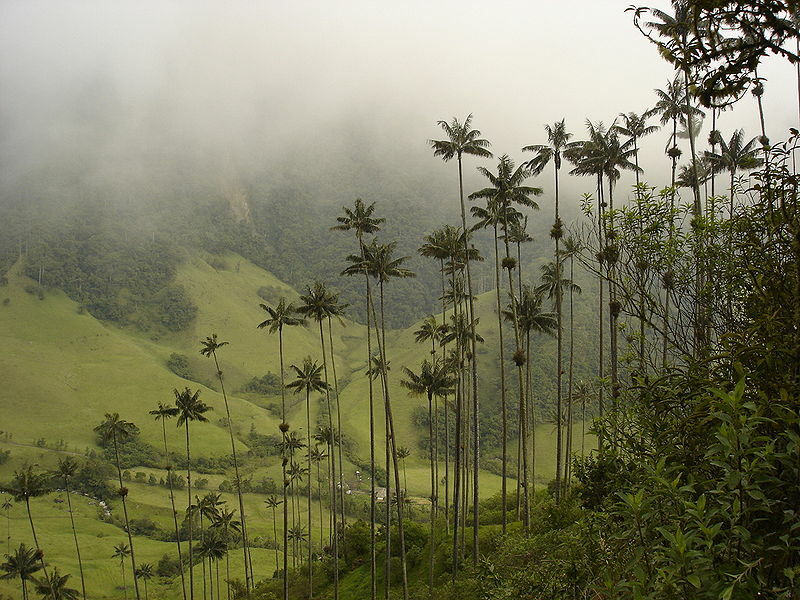 There are over 59,000 species of monocots. The largest family in this group is the orchid family. A distinctive property of a monocot's flower is that it is trimerous - meaning the flower parts in threes or multiples of three. For example, a monocot flower typically has three, six, or nine petals. 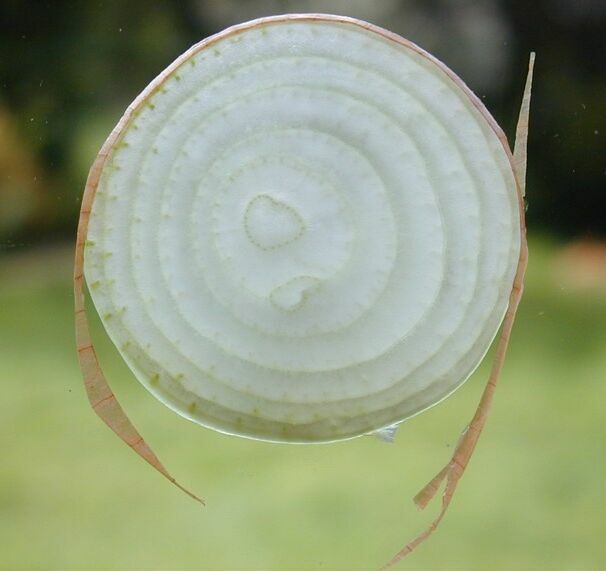 Many monocots also have leaves that have parallel veins in them. For example, look at the slice of an onion - it has parallel veins in the cross section. 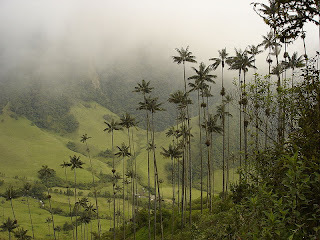 The tallest monocot in the world is the wax palm, shown below. Image courtesy of Diego Torquemada. 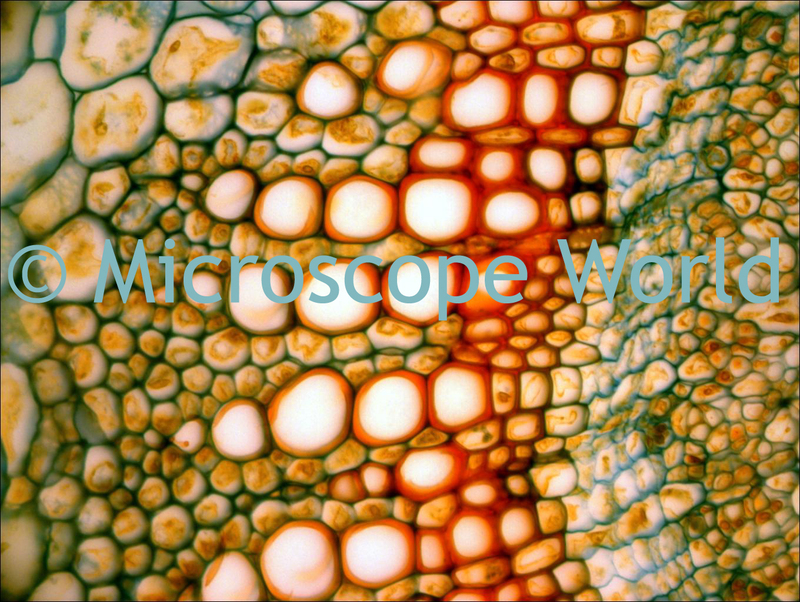 If you are interested in viewing your own monocot prepared microscope slide, there is one included free with all student high power microscopes in Microscope World's prepared slide kit.